FastFit classes start this week! 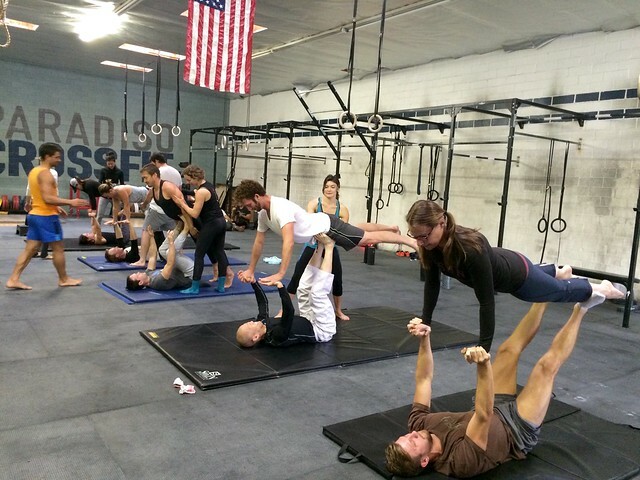 30 minute conditioning only classes: Noon at MDR and 1pm at Venice…tell your friends and co-workers! First class is free! Notes: Focus on virtuosity! Supinated grip means palms facing away, if you cannot perform strict pullups yet, perform negatives by jumping to the top and lowering slowly. Use a band if needed for this as well. Feel free to use an increased or decreased range of motion for the HSPU. Notes: Prescribed is 24”/20” and 70/55 kbs. Scale the row distance and pullups to ring rows if needed. Notes: Be sure to reduce the reps or weight to make the time cap!